Not one ten years Bulgaria draws attention of vacationers with the resorts, service and reasonable prices. Any trip to holiday promotes purchase of souvenirs for the family therefore in this article we will tell that to bring from Bulgaria as souvenirs. The first that is associated with this country — this rose attar. It should be noted that Bulgaria is one of world leaders in his production. The city of Kazanlak and its suburbs received the name "Roz's Valley" as production of such oil exactly there is most concentrated. Besides, every spring the Festival of roses is held there. It is also necessary to tell that production of one liter of oil requires about 4 tons of rose-petals. It is possible to bring from Bulgaria rose attar in extra gift wooden packings, and also any other cosmetics on its basis, such as soap, cream, aromatic salts or shower gels. 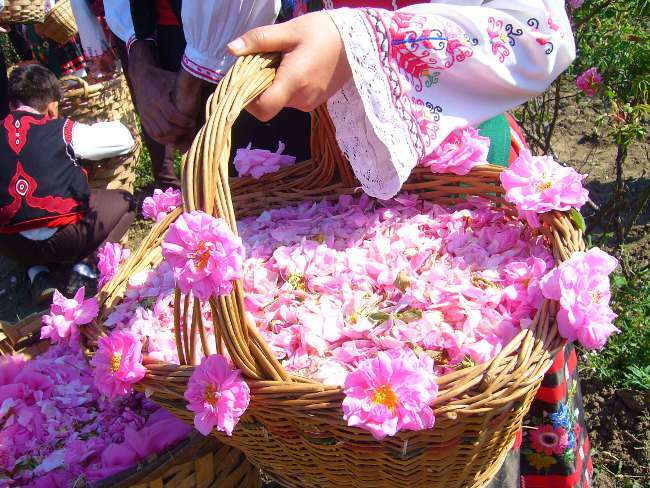 The Bulgarian rahat lakoum which, unlike the Turkish primogenitor, is less sweet enjoys also wide popularity, however is more fragrant. As the best kind of this confectionery consider that which possesses a smell of roses. Besides, from sweets still it is possible to bring local jam which also generally is made of roses from Bulgaria. Separately It is necessary to tell about nut jam which is done of young green walnuts. It is on sale in the Bachkovsky monastery. Externally it represents substance of dark brown color in which nuts float, however we warn that taste at it — on the big fan. In Bulgaria make fruit vodka which is called raki. For its preparation use plums, apples, apricots, sweet cherry, and also grapes. Also from alcoholic beverages it is worth emitting anisic mastic which fortress can reach 50 degrees. As its best grades are considered "Peristera" and "Cop". 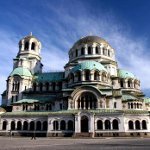 It should be noted that Bulgaria is the orthodox country where the huge choice of excursions on old churches and monasteries is offered to tourists. Therefore it is possible to bring from Bulgaria something, connected with religion, for example, daggers or icons. Kukersky masks are considered as also very known Bulgarian souvenirs. In pagan times was considered that they expelled evil ghosts during crops and harvesting. In translation the word "kuker" also means "spirit of fertility". In the city of Pernik annually passes the thematic festival devoted to kuker where it is possible to get a colourful mask. In Bulgaria on a special place costs some coffee and everything that with it it is connected therefore the Turk which will become an excellent gift for the fan of coffee can find in shops easily real copper. Besides, it is possible to bring from Bulgaria as a souvenir spices, namely — kimion which perfectly approaches not only fish and meat, but also vegetables. Also it is possible to find transparent jars in which the sharena salt", the representing mix of salt and various seasonings will be filled so-called "in sale. It well will approach as a small gift. Besides everything listed Bulgaria is famous for products of a national embroidery: cloths, towels, bed linen, napkins and covers. Also it is worth mentioning products from ceramics which do masters of the city of the Trojan of brown clay. On sale there are various circles, saltcellars, sugar bowls and pots with characteristic national patterns. We hope, this article helped you to find out that to bring from Bulgaria as gifts.